In the fast pace world of business today, sometimes it can be hard to set time aside to engage with you local audience on Social Media. Here are 4 helpful tips to speed up the process! Let’s face it, you’re busy, I’m busy and so is everyone else. Automation of your social media accounts can help take your social outreach to the next level. Personally, we use Hootsuite for management of our social media accounts. This is a fantastic tool that lets you schedule shares for multiple platforms at once like Twitter, Facebook, Instagram, and even Google+ (for those die hard fans left.) By scheduling posts you can effectively shorten your weekly burden to one session, which is what I recommend. There are several other posting scheduling services such as: Buffer, TweetDeck and SocialOomph. Try them out and see which one works best for you! One of the most important things small businesses neglect when it comes to social media is which platform their ideal demographic uses. A business can implement all the automation they want but if their customers can’t easily find their content, valuable online traction can be lost. One of the best tools for finding what social media platform is right for your business is looking at the demographics done by the Pew Research Center. 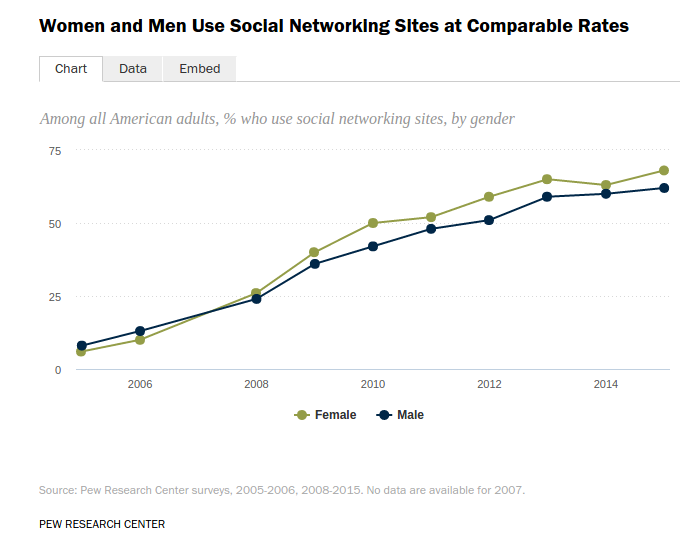 As you can see, men and women use social media at similar rates but NOT the same platforms. If your target demographic is women, you may want to focus on Pinterest over Twitter as Women are 3x-4x more likely to use Pinterest than men. 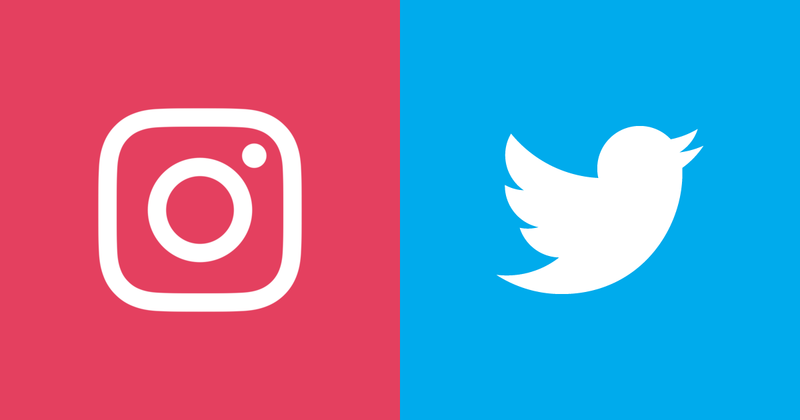 Posting to Social Media in regular intervals is extremely valuable for both generating positive social media exposure and your sanity as a business professional. Sticking to a posting schedule helps your users know you are an active business that takes their needs seriously. We live in the age of the social consumer and users are not afraid to take to their social media accounts to ask companies questions or find out more about you. If you have an active social media account you are more likely be held in a positive light by that user. We follow a schedule very similar to this. There are many tools out there to accomplish these and even WordPress has a built in function, however I prefer to use more robust tools like IFTTTor Zapier These are websites that allow you to “link” accounts to speed up the dissemination of your content. For example, I have an IFTT recipe set up to where everytime I post a blog to a WordPress website is automatically posts to Twitter, Instagram and Facebook. It also works in the other direction, if I take a picture on Instagram it will automatically posts to Twitter with the same descriptions, hashtags and links.